The site, pbscpanthers.com, features scores and statistics that will be populated shortly after each game. Rosters include biographies, statistics and game logs for each player. Additionally, each game will include a recap story for those that could not attend but still wish to follow along. 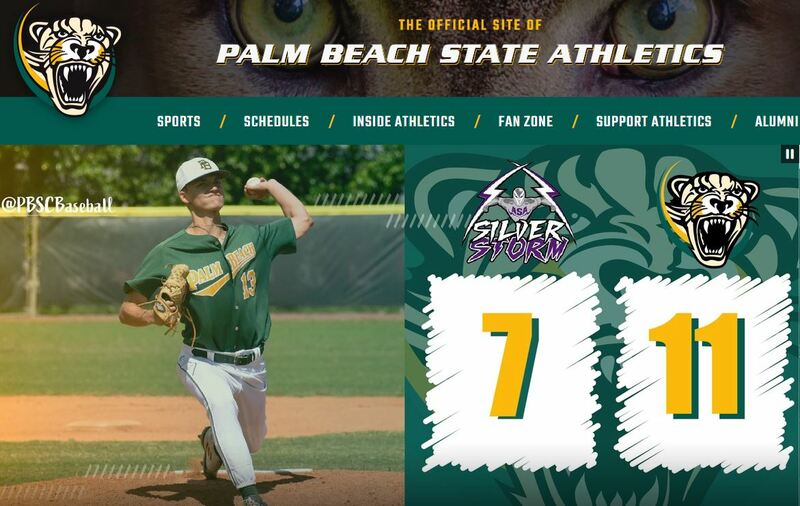 The site also features Palm Beach State Athletics social media streams on the homepage and sport specific streams under the Fan Zone and Sports sections. There is also an Athlete of the Month spotlight at the bottom of the homepage. “We believe these long overdue additions will bring more prominence to Palm Beach State, as well as unite the college and the community through athletics,” said Athletic Director Tom Seitz. In the future, the department plans to implement live statistics for each sport, as well as live game video streaming. “Fans will be able to connect with their favorite teams, players and coaches like never before,” Cichielo said. For more information, call the department at 561-868-3006.